What do you do with the loose change that you acquire as you go about your day to day life? Do you leave it to build up in the bottom of your bag or pockets? Throw it on the side at the end of each day when you get home? Do you, perhaps, have a jar to store it in, and then cash it in at the bank once the jar gets full? Paying little attention to our low value coins is something we’re all guilty of, but you may want to start examining your loose change a little more carefully from now on. With millions of each type of coin in circulation, it shouldn’t come as much surprise that some variations are rarer than others, and can be worth more than a pretty penny. So, what should you be looking out for? 20p coins with no date – when the Royal Mint redesigned our coins in 2008 so that the detail on one side would make up the Royal shield of arms when all together, they opted to move the date on the 20p from the back of the coin to the front. However, a mistake at the Royal Mint meant that the old and new designs were mismatched and something over 50,000 coins were put into circulation before they realised their mistake! 2p coins with outdated wording – in 1983, the Royal Mint accidentally struck a small number of 2 pence pieces that bore the wording “New Pence”, which was used until 1981, instead of “Two Pence”, which was adopted in 1982. It’s thought that these misprinted coins were all put into special edition sets for collectors, but it’s possible that some may have made it into circulation and still be kicking about today. £2 coin with a typo – In 2005, the Royal Mint released a special edition £2 coin to commemorate the 400th anniversary of the failed Gunpowder plot. This coin bore the inscription “Remember, Remember the Fifth of November”, but unfortunately a small number of coins were released into circulation with the typo “Pemember, Pemember…” Oops! 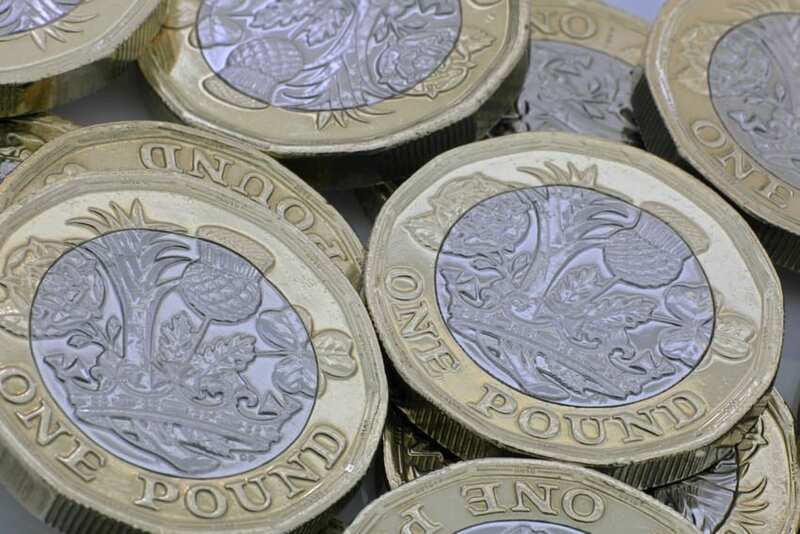 Defective new £1 coins – the new £1 coin launched earlier in 2017, and it seems a number of the early runs were put into circulation with errors. Defects we’ve heard about include warped coins, coins where the Queen’s head isn’t aligned correctly, or is missing altogether, and die errors with the bi-metallic design. The Royal Mint regularly releases special edition coins to commemorate a special occasion. Special edition coins are usually produced in much smaller runs than standard designs, and some particular coins can be very rare and therefore valuable. Do you have any of these in your coin jar? 2012 Olympics series – The Royal Mint released 29 new 50p coins in honour of the 2012 Olympics five years ago, all displaying sports featured at the Games. The rarest of these is the original aquatic coin, which shows a swimmer with water covering their face. Just 600 of these were released into circulation before the design was adjusted to make the swimmer’s face visible. Other rare coins in the series include the 50p explaining the Offside rule, the coin showing wheelchair rugby, and the wrestling 50p. The Mary Rose and King James Bible coins – In 2011, just 20,000 of each special edition £2 coin were released into circulation. The coins celebrate the 500th anniversary of Henry 8th’s ship, The Mary Rose, and the 400th anniversary of the publication of the King James Bible. Beatrix Potter series – The Beatrix Potter series of 50 coins were released to a select few attractions and National Trust properties in 2016, and the Royal Mint haven’t shared exactly how many of each they’ve minted. Coins featuring Peter Rabbit, Mrs Tiggy-Winkle, Jemima Puddleduck and Squirrel Nutkin are all out there, with Ms. Puddleduck appearing to be the rarest of the collection. Capital cities £1 coins – The Royal Mint has produced coins featuring landmarks from the capitals of the four nations that make up the United Kingdom before, but the series released in 2011 are particularly rare. The Edinburgh £1 coin has only 935,000 in circulation, making it quite valuable to collectors! If you think you’ve struck gold and found a rare coin in your stash of loose change, then don’t stick it up on eBay for hundreds of times its original value just yet. Before you do anything else, you should check with the Royal Mint that the coin you have is genuine, as forgeries do exist and are often so convincing that they pass through the system unnoticed. Assuming you’ve got the real deal, then it’s time to find out how much it’s worth. eBay is a good place to go to gauge the value of your loose change, but Change Checker is a great source as well. Of course, you may not want to sell your rare coins at all, and might prefer to keep them to hand down to your children or grandchildren when the time comes. You should probably keep them safe though – imagine if you accidentally spent a coin worth hundreds of pounds! Have you ever come across a rare coin? Would you sell it or hold onto it? Let us know in the comments!